Manitoulin Island & the LaCloche Foothills are attractive destinations for both recreational and touring cyclists. 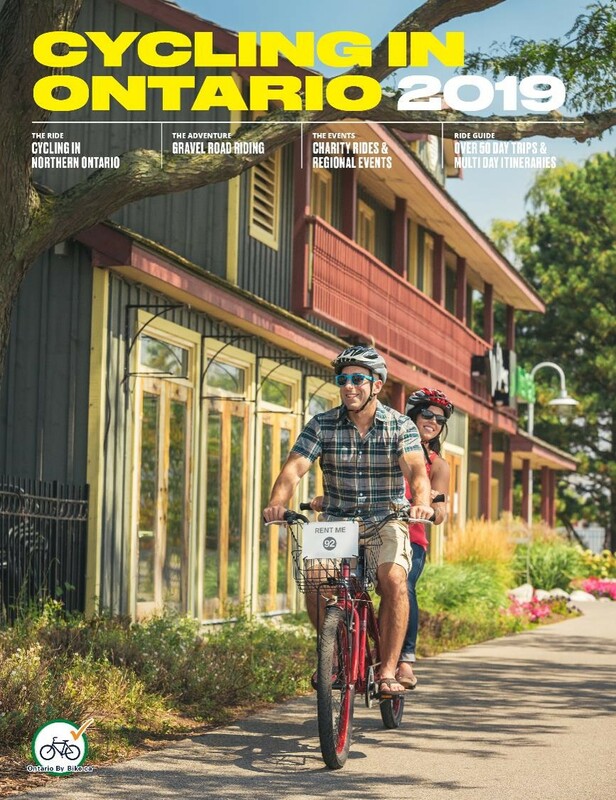 On the island, quiet roadways take cyclists past scenic vistas, 108 inland lakes and lush forested areas allowing cyclists to experience unique attractions enroute and connect with the area's rich cultural heritage and First Nations communities. Small towns with an array of amenities and unspoilt shoreline add to the romance of an island getaway easily enjoyed by bicycle. LaCloche Foothills offers long distance touring cyclists a great opportunity to experience the beauty of the North Channel and nearby Killarney Provincial Park. 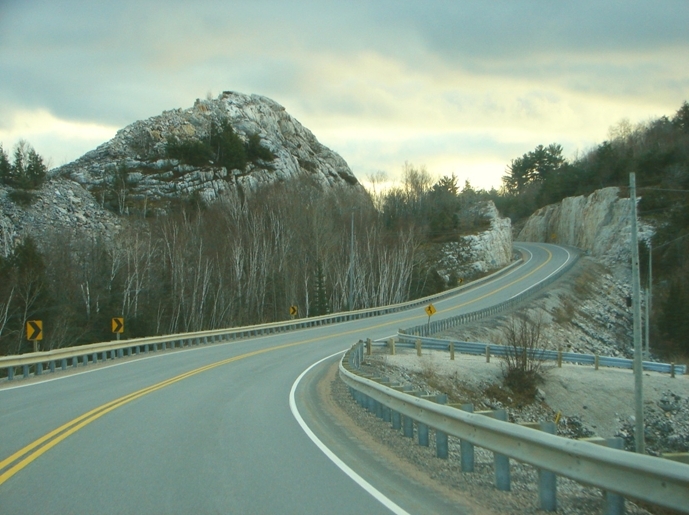 The spectacular views will make the hilly climbs connecting Espanola to Manitoulin Island worth the effort. Long distance cyclists can connect from this area to Sault St Marie, Sudbury and using the ferry service, to Bruce Peninsula. As the largest island in a freshwater lake, Manitoulin is big enough for cyclists to enjoy a multi day tour. Many visitors may be unaware of the following distances between towns and destinations in between. 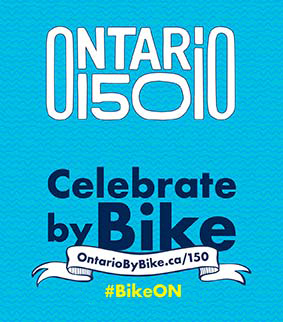 Manitou Loop (Self-guided Itinerary) - Experience some of the best cycling on Manitoulin Island on this 126km, two-day cycling itinerary, developed as part of the Ontario150 - Celebrate by Bike initiative. This route takes cyclists around Lake Manitou, the largest lake on Manitoulin Island. From beaches to historic sites, from quaint communities to First Nation's culture; experience a local hospitality and a network of quiet, paved roads that reveal a countryside perfect for overnight cycling trips. Country Roads – With plenty of quiet country roads around it is not hard to create numerous route options. Road surfaces differ from paved with shoulders perfect for cyclists, paved with light traffic, surface treated to hard packed gravel. The only times there is increased traffic and cyclists should use caution, is on the road to/from South Baymouth around ferry times. Provincial Road Status Report - View a list (pdf) of provincial roadways on Manitoulin Island and their current suitability for cyclist HERE. Many long distance cyclists travel this way as they are on round the lakes or cross Canada tours. Communities with many of the amenities and services cyclists are looking for are easily arrived at within a day's ride or closer. This area encompasses Espanola, communities along the north shore from Spanish to Nairn Centre, and south from Espanola towards Little Current on the Island. View a list (pdf) of provincial roadways in the LaCloche Foothills area and their current suitability for cyclist HERE. Highway 17, Highway 6. 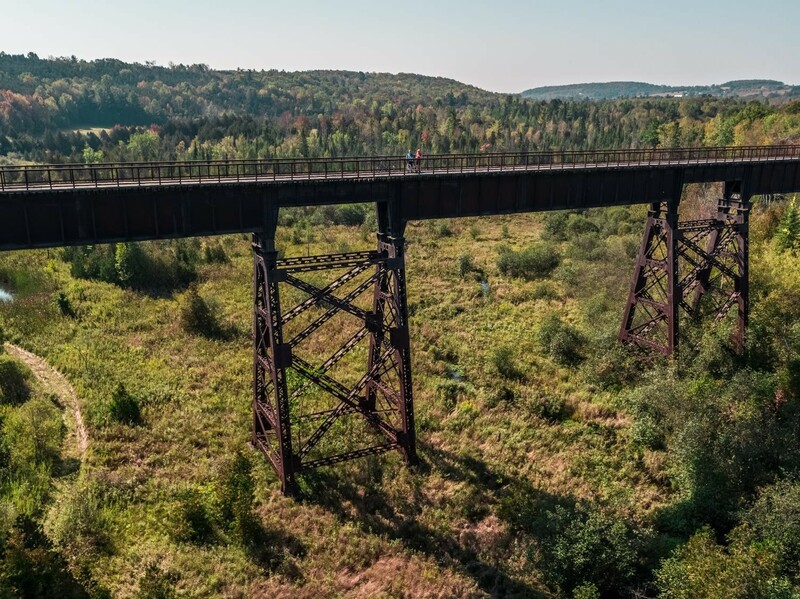 Bebamikawe Memorial Trail (Manitoulin Island) - Over 14km of single track and up to 800m of double track trail that can accommodate mountain bikes. Signage is mounted at three lookouts describing the historic and ecological significance of the area. McLean’s Park (Manitoulin Island) – Located towards the eastern end of the island, the park offers an 8km ride through roughly 40 ha (100 ac) of hardwood bush. The path is challenging along its rough terrain, but there is little elevation gain. Great Lakes Waterfront Trail – Also referred to as the Lake Huron North Channel Cycling Route, this 380km northern addition to the Great Lakes Waterfront Trail, part of the Trans Canada Trail launched in 2017. 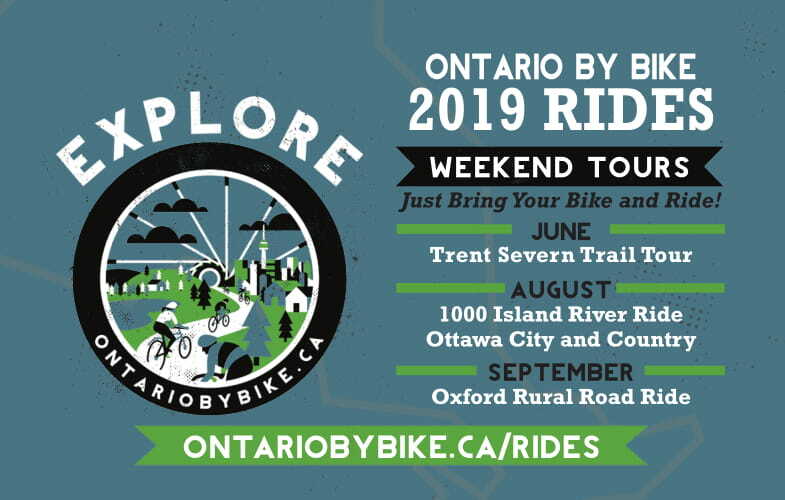 Am epic touring route crossing over countless waterways and through quaint rural towns and First Nations communities in Northern Ontario between Sault Ste. Marie and Sudbury. In 2018, the signed Great Lakes Waterfront Trail will connect from Grand Bend, through Manitoulin Island along Hwy 6 to the Lake Huron North Channel Cycilng Route. Long distance cyclist can make use of information above to create their own cross regional cycling route by making use of information above, including current Road Status Reports and provincial road maps. Popular route takes cyclists from Sault St Marie, to Espanola, Little Current, South Baymouth with the ferry connecting them to Tobermory and the Bruce Peninsula. View ferry Information - Ms Chi-Cheemaun - May to October service. Manitoulin Island & La Cloche Mountains Cycling Routes & Road Map - This map details 14 route loop suggestions offering combined over 800km off great on-road cycling and 45km off-road trails across the Island. It has something suitable for every type of cyclists. Routes are published online,you can print a route copy. Cost for cyclists to purchase map $2. 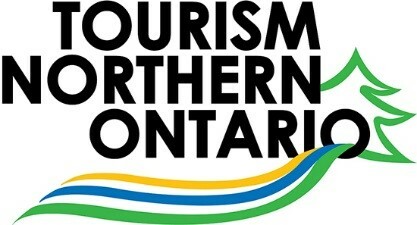 Manitoulin Tourism - The information and call centre refers cyclists to additional sources for information. The website contains information on cycling as an island activity. Cycling the Backroads of Manitoulin – This publication is soon to be updated or recreated. It is currently out of print. The new mapbook is expected to be published in the near future. Lead group on republishing effort is MICA – Manitoulin Island Cycling Advocacy group. Please note there may be additional information and map guides for the area that may be of interest and useful to cyclists. New maps and guides are available yearly, and information above may change.